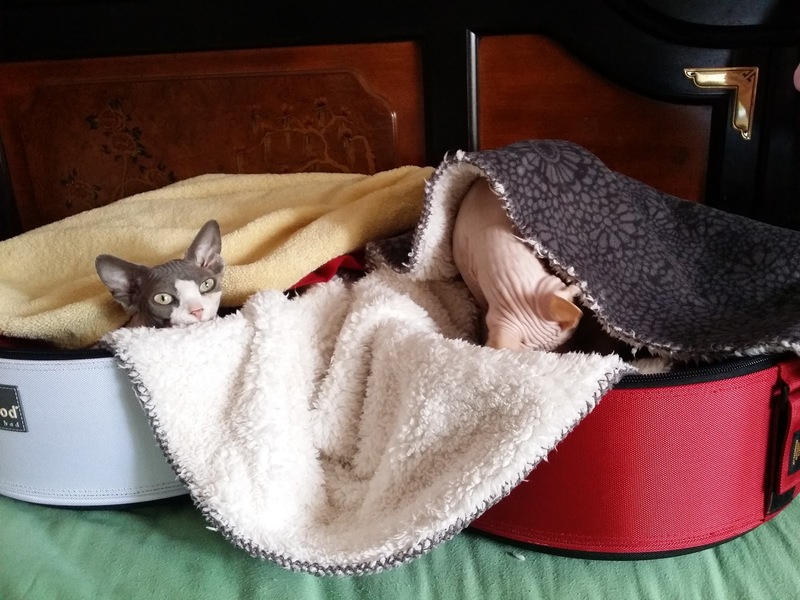 I have been a Sleepypod fan for years, Jake and Maus loved their bed (they were small enough to fit into one). Moshe Moshi liked it too, but I though with Lexi Liu joining the family it was time to get him a new one of his very own. 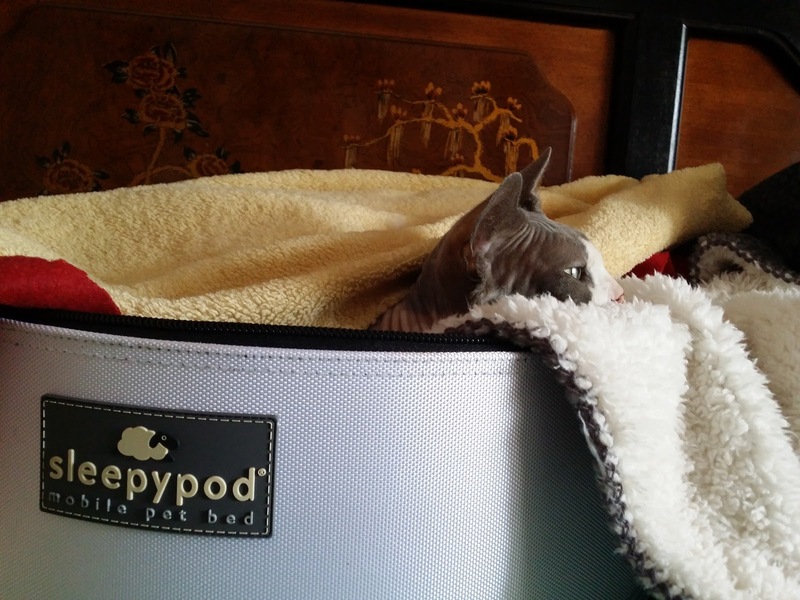 Sleepypod is a 2-in-1 pet product. It's a carrier with over the sholder strapping, velcro and zipper opening to keep your pet contained and a design that allows you to secure your pet safely while driving. It's a bed. generous padding and luxurious faux fur lining with optional warming pad provides a comfort your pet will appreciate (warming pad sold separately). They come in one of six colors; we chose the Artic White for Lexi Liu and Strawberry Red for Moshe Moshi. To be honest, Lexi Liu doesn't much like being closed in and her first experience with the carrier had her pooping in distress. She does however love the warming pad and has no problem being enclosed when it is on, so it's a good thing the warming kit comes with a power attachment for the car. Moshe Moshi loves his most with the warming pad too. I guess it's just a naked thing. You can also purchase a lamb's wool blanket which are very nice. We just use a fuzzy blanket and their own body heat makes the bed nice and toasty. 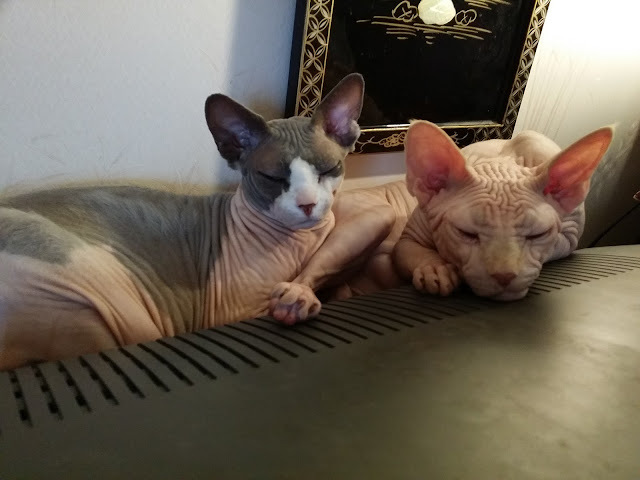 I read some complaints about the warming pad not being warm enough. It's not a heating pad. The pad gives off very low heat that works with your pet's won body heat to warm. Fell the pad after your pet lays on it. It will be noticeably warmer. A cover over the top will heat the bed even more. They are expensive, about $160 to $240, but they are durable. The only reason I bought a new one was that I believed Moshe & Lexi were associating loss with our black carrier. 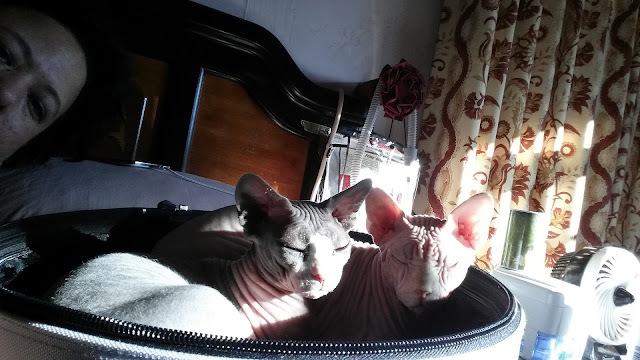 Both Maus and Jake left in the carrier and didn't come back and the two would not sit in it after that. A regular carrier and a bed would be less expensive. For me specifically, because I travel, I find caving a bed and carrier in one less complicated and one less thing to carry. Although during this snow storm the heat form the TV was a greater competition, they enjoyed their beds greatly.